We have tons of options and all kinds of colors to suit your needs. See why vinyl fencing is the best choice for you and your family! 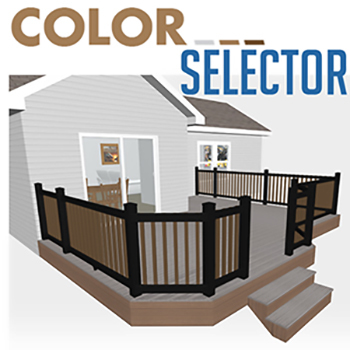 As premium decking grows, we are here to install all decks for our local consumers! The Vinyl Outlet is Western New York's Vinyl specialists. We specialize in making your home as maintenance free as possible. We use only the best grades of high quality vinyl Fencing, Railings and PVC Decking available. We fabricate and custom design our own vinyl Fencing, Railings, and PVC Decking Systems. We are a family-owned and operated business that takes pride in the research and development that we put into our vinyl products we use. We have over 25 years experience. We are the elite vinyl contractors in the Western New York area. All our vinyl products are backed by a lifetime warranty, making your new home investment worry - free with ease. When it comes to vinyl, trust our reputation and quality. Your First Choice For a Fencing Contractor in Buffalo, NY! What makes us the only choice when it comes to investing in a new vinyl project, is that we ONLY focus on vinyl. We don't do wood, chain link or anything besides vinyl. Our professional and experienced installers specialize in vinyl installations. When you do the same thing over and over, it makes you a perfectionist. Our fence crews only install fencing, our railing crews only install railing systems and our deck crews only install decking. You can trust out installers at The Vinyl Outlet to be the best. - period! We carry the largest inventory of vinyl fencing, railing and PVC decking in the Buffalo, NY area. Our large buying power allows us to get you the very best vinyl for less money! We know this type of vinyl better than anyone else is the Western New York Area, and stock more vinyl fencing, railing and PVC vinyl than any other vinyl fencing contractor. When it comes to vinyl The Vinyl Outlet is the only choice! Contact us today for your Free In-Home estimate!